These sites promote the American worker—which is part of our DNA! Joseph S. Pass has been practicing with Jubelirer, Pass & Intrieri since 2002. Joe provides counsel to clients in all areas of labor and employment law. He works for labor organizations representing public and private employees in a variety of settings: at the bargaining table, in grievance and interest arbitration hearings, and in state and federal court. 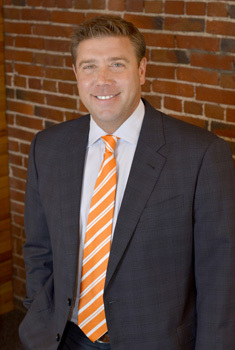 Additionally, Joe practices in the areas of general civil litigation and criminal law. Joe has appeared before all courts in the commonwealth of Pennsylvania. He graduated from Allegheny College with a B.A. in Political Science and English and received his law degree from Duquesne University School of Law. Joe is admitted to practice in Pennsylvania and Ohio. He is also admitted in the U.S. Court of Appeals for the Third and Sixth Circuits, the United States District Court for the Western District of Pennsylvania and the United States District Court for the Eastern District of Wisconsin. Prior to joining Jubelirer, Pass & Intrieri, Joe was a Parade All-America soccer player and thereafter played five years of professional baseball both in the United States and overseas. Joe is also a current Board member of the Greater Pittsburgh American Cancer Society.